Apparently after all the rumours about Spyro being remastered, it seems like that finally might just come true. There are plans to release a remaster of such games as Spyro The Dragon, Ripto's Rage! and Year Of The Dragon for the Q3 of 2018 for the PS4. As stated "Much like the highly successful Crash Bandicoot N. Sane Trilogy, the remaster will feature new assets, lighting, animations and cinematics, as well as a remastered soundtrack." More info can be found in the source from Kotaku. Update: Spyro The Dragon has officially been announced by Activision, as of April 5th. Just like Crash Bandicoot N Sane Trilogy, Spyro is a remake and not a remaster. 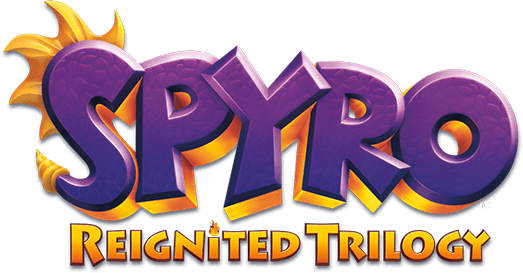 The new remake will be named Spyro Reignited Trilogy. The game will launch this November, for Playstation 4 & Xbox One. I wonder if there is going to be plans to redo Year of the Dragonfly since it originally planned to involve Gnasty Gnorc working along with Ripto, it was bad because it was rushed. If this planned remaster trilogy sells well, then there might be new remasters for even Year of the Dragonfly for the future. But it's too early to to say for now. The signs were there the whole time. Crash Bandicoot N'sane trilogy sold well and Spyro is irrelevant for Skylanders. Makes sense to have lightning strike twice with a Spyro trilogy. Definitely a lot more excited for a Spyro Trilogy. I still maintain that Spyro 1 hasn't aged well. I've tried going back, but I'm put off a lot by how little I really care for it. Also the Freeway levels always sucked. It's highly unlikely that Year of the Dragonfly will be remade though and I think it would take a long time to redo the original plot with Gnasty Gnorc, though seeing Ripto teaming up with Gnasty Gnorc sounds like a good idea. FINALLY, i've waited too long for this to happen, MAN its gonna be good to replay year of the dragon, i've got a lot of history with that game. It was one of the first games my sister and i ever beat together as kids, still have the original game too!. However, the disc has seen better days, turning a purplish coloration and receiving too many scratches over the years, rendering it unplayable. I was distraught that it wasn't released on the PS4's store, and didn't want to buy a ps3 just for that. now, i don't have to do that at all! 2018's gonna be a great year for gaming! And as for Gnasty gnorc and ripto teaming up, if memory serves year of the dragon hinted at that. Doubt they'll fix the mess that was year of the dragonfly, but anything's possible. I know right! 2018 is shaping up to be another great year for console games. I just wish I could have the game right now. It was a long time since I last played the first game but I can assure that levels for the game will most likely be polished and fixed once we get more info on the game's development. I'm glad that they are releasing them as a trilogy, together instead of separately. It saves me time and money since the disks separately are quite costly. It would be a welcoming back to the series and great start off for my PS4 experience. I absolutely agree. It will be great to have the trilogy on the PS4. Yeah, and it would certainly a breath of fresh air since I actually have a working Spyro Year of the Dragon, instead of just a disk that gets corrupted too easily. That's beside the point though. I have pretty much played probably almost all the Spyro games, except for some GBA versions and PS2 versions. I did try to play the reboot or whatever it was called trying to give Spyro a back story of where he was raised by dragonflies but some of the attacks and the numerous buttons that you had to pull off to get through those attacks was less than to be desired. You refer to the legend of spyro series. Personally, i only played the first and second ones, and prefer the first one. The different elemental breaths were fun to use, and some of the combos were pretty strong, but you only really need some of them for certain areas. One of my favorite things to do was use the electric breaths pull ability to throw the monkey's into the lava in munitions forge, good times right there. But the second one just recycled bosses from the first one, not a good way to kick things off for the sequel. I mean, A Hero's Tail was pretty fun and not as glitchy and rushed as Year of the Dragonfly. I did like Blink the Mole, but his mini games got pretty tedious. Don't get me started on Year of the Dragonfly that could've easily killed the franchise on the spot, but thankfully it didn't. I hate how that glitch buggy mess didn't have to turn out that way, corporate executives thinking that they'll get more money from the holiday season with a rushed game. Moneybags appears ONCE in the game, you give him gems, and you never get them back, the 3rd and 2nd of the original franchise got that right, WHY NOT THIS ONE? the levels that had those boring tank minigames weren't fun, and the fact you can beat the game in under a minute is shameful. I did read somewhere, probably Wikipedia about the game giving a kid a seizure, though I do think I should take that claim with a grain of salt. I also don't understand why some people hate Skylanders, though it may have something to do with how Spyro's design was changed from his original appearance in the trilogy controlled by Insomniac. Wasn't a new company making Year of the Dragonfly because Insomniac went out of business, got bought or whatever around the time the game was being made? Insomniac was hired by universal studios (yeah, THAT universal) to make 3 spyro games, no more, no less. So when it came time to make the third, they worked harder than they had with the other games, making it one of the most fantastic games on the ps1 library. But after that, they couldn't make any more games with universal, so the spyro ip moved around to different companies, resulting in sequels, retellings and games that i generally don't like as they divert from the classic collect-a-thons. And then toys for bob comes into play. They purchased the ip and made the skylanders series, using spyro's name as a way to draw in fans. The old fan's beef with them is simple, skylander's presence siphoned away the chances of a remake, as they realized selling overpriced pieces of plastic separately was an effective business strategy. Now that skylanders is selling less and less items, they're turning to their old franchises and remaking them, to recoup some losses. It is this reason that i believe is why they're remastering crash, and medEvil, and eventually the classic purple dragon himself, which is what we want.